Pond maintenance is key to keeping your Koi and fish happy. Regular maintenance will prevent problems such as green water, blanket weed, fungus and ammonia developing. Our pond maintenance regime also includes your ponds filtration system. 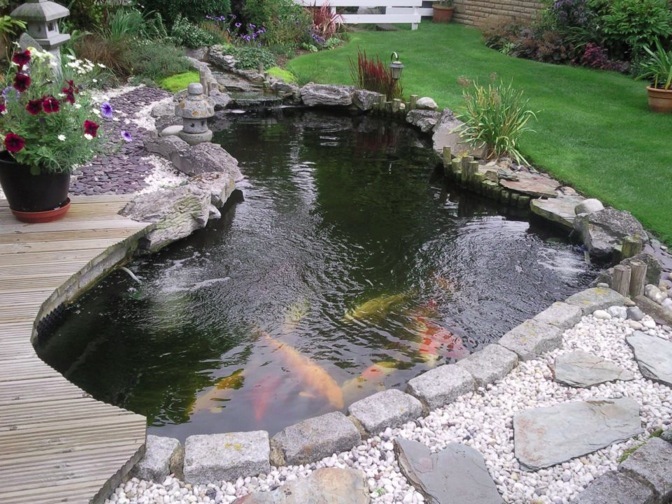 We can also provide a cleaning service for garden ponds and water features. If you require a complete pond clean, a pump unblocked, problems solved Koi Kare are happy to assist. We can test your water to ensure the safest environment for your fish. We can upgrade or repair your filtration system restoring your crystal clear water. We also have maintenance plans to meet your requirements, should they be Monthly, Quarterly, or just a one of visit to solve a problem. We are based in the UK and cover most of the south east England including Kent Essex and Surrey. If you have any questions around pond filtration or maintenance please email us.